Phil was just a boy when he and his friends made an impulse decision on a scouting trip that would reverberate throughout their lives and challenge their faith and the faith of an entire community. Though it seemed that the guilt and shame of that experience might haunt him and his future forever, a desperate prayer finally led Phil to a place of peace and understanding through Jesus Christ. Stories in this episode: Erik takes a huge professional risk as a Broadway theater producer that doesn’t quite turn out the way he prayed it would when failure leads him somewhere surprising; When Emily, a born adventurer, finds herself in the tedium of young motherhood, another woman’s last minute trip to Peru sends her to her knees to ask God what he has in store for her. 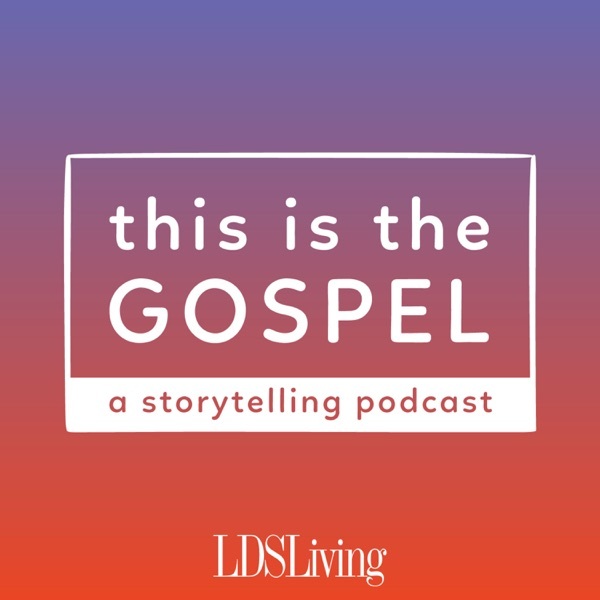 Stories in this episode: A talk at General Conference answers DiDi’s reluctant prayer about the truthfulness of the missionaries’ message; Naveen makes a joyful 2 a.m. phone call to India after a surprise prophetic announcement; Cynthia starts on a path of redemption and healing when a seemingly personal message from an Apostle shows her that forgiveness and change is possible. Stories in this episode: An extraordinary lesson from her family history helps Sister Linda K. Burton find the right words to minister to the women of the Relief Society when she is called as president; Deserey is called to be the Family History specialist in her single adult ward and receives a special spiritual confirmation from her father beyond the veil about the value of her calling. If there was ever a time when Calee needed to hear the voice of the Lord loud and clear, it was the year she found herself in the midst of a difficult divorce navigating life as a single mom. The fact that the heavens seemed completely silent might have driven her further from her faith, but Calee’s determination to hold out for more from God takes her to new and exhilarating places when she seeks to understand the quiet. When Dusty first came in contact with anti-Mormon literature, he had no idea that his desire to refute it would eventually lead him to become a vehement persecutor of the Church he once loved. What does it take to come back from the precipice of lost faith? Dusty’s unique story of belief lost and found is a reminder that the Savior’s atonement reaches for us even in our seemingly unreachable places. Change is an exciting and inevitable part of our lives as members of the Church of Jesus Christ of Latter-day Saints. In this episode, Christie shares her story of being sent with her family on a work assignment to Senegal West Africa where they discovered that being part of the growing church means making room for personal spiritual growth and flexibility and trusting in God’s purposes. When Jon was asked to turn off his flashlight in the depths of a cave during a youth activity, he had an experience with darkness and light that stuck with him the rest of his life. That dark cave and its lesson in opposition became a spiritual anchor to Jon when he and his wife Emily were faced with the real ups and downs of a life-threatening illness. You can find the beauty even in the hardest things when you put your faith in God. Stories in this episode: Teresa has a strange prompting that helps her find the compensatory blessings from God when her plans for retirement are upended by loss; A bid for a spot on the village council places Shauna in some crazy situations, with outcomes that only God could have foreseen. Stories in this episode: A last ditch quidditch match in the MTC brings Rylan and Diana together years later when they reconnect at the temple; Tyler’s side hustle as a singing telegram puts him in the unique position to find real love; Sarah’s wild dream about a flying kite proves the key to her courage when love comes in an unexpected way; Friendship takes a turn toward romance on a disastrous road trip for Melea and Dean. Stories in this episode: When an undercover rescue operation takes a dangerous turn, Tim rediscovers a truth about how faith works in his life; Davi gets a prompting to do something that seems counterintuitive as she prays to receive healing in depression; A friend’s loss of faith offers Adam an opportunity to search out where to focus his own doubts and faith. Stories in this episode: Crishelle learns how to move forward after a deep betrayal causes her to question everything she once knew about her family; After a traumatic car accident, Kaitlyn discovers forgiveness is a process and not a one-time event; A very naughty puppy teaches Sarah the love and understanding that can come through Christ’s Atonement. Todd was far from religious or even spiritual when he started meeting weekly with a Latter-day Saint bishop in search of a new life beyond his addictions. What happened over the next four years, including an inspired trip to a roadside lemonade stand, changed the course of his life in real and lasting ways. Stories in this episode: A missionary in Guatemala learns that Christmas sometimes means emptying buckets; When Christmas service gets real, a surly teen has a change of heart; Making amends brings a recovering addict and his family closer to the real spirit of the season; Newlyweds with nothing to give discover the secret to a full and rich Christmas. When Brittani McLeod’s job led her to a remote village in the deserts of Morocco, she thought she would have to leave behind everything familiar. She didn’t expect the miraculous ways that her Heavenly Father would remind her that He is EVERYWHERE. In this episode, Isaac Thomas shares the story of how he gained a testimony and joined the church in 1976 at a time when he, as a black man, could not receive the priesthood. He recounts the heartbreak and joy he found as he faithfully served and waited for a revelation that would restore the Priesthood to every worthy male member of the Church. Stories in this episode: A trip to the temple reveals the six words that help Danielle remember who she is to God; Two strangers on rollerblades give Robyn the miraculous answer to her prayers; A moment of pure revelation helps Spencer navigate a painful divorce with grace. The story of Carol Decker's life has inspired people around the world to choose love and gratitude despite their challenges. In this episode, Carol tells us what it was like to go to the hospital with what she thought was the flu and wake up to an irreversibly different world and body. Stories in this episode: A High School Student tries to find his tribe when he moves with his parents to Eastern Europe; A no-coffee, no-swearing study-abroad with BYU students sets one woman on a path to Christ; and a congregation in Virginia shows us what it means to truly love every person as they are, where they are.